META-Kinetics Training - Level 3 Master Practitioner - META-Health Academy. 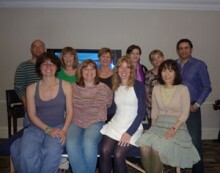 META-Kinetics Training - Level 3 Master Practitioner - META-Health Academy. Become a META-Kinetics Master Practitioner! On this cutting-edge course, you’ll go beyond protocols, using META-Kinetics flexibly, creatively and intuitively. Have you done META-Kinetics Level 2? Have you gained certification or are you working towards completing your case studies? Are you keen to go beyond protocol and develop your own style and approach? Are you looking to deepen your skills, understanding and intuition with META-Kinetics? On the META-Kinetics Master Practitioner programme, you will deepen your understanding, skill and competence – and move into META-Kinetics creation! The course is open to those who have trained as a META-Kinetics Advanced Practitioner and have done some professional training in META-Health (Practitioner or Master Practitioner level), as it includes working with advanced META-Health material. I found the course just amazing, I can't wait to use the new protocols. It is so powerful and goes so deep, allowing a profound investigation into people's issues. I highly recommend it to whoever is interested in uncovering the deep stuff underneath health issues! The course was super, lots of practice with very core stuff (so loads of time to work on our stuff), I found the supervision good and good time to express and discuss troubleshooting. The scan charts and manual are lovely! 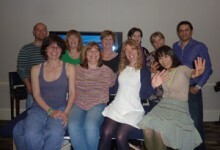 The META-Kinetics Advanced Practitioner course takes place in three modules of three days. Each weekend combines theory, discussions, demonstrations and practice – plus opportunities to uncover and release the stress behind your own issues! Learn how to identify, model and name previously unidentified constellations! 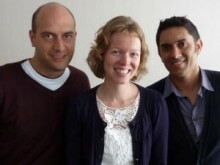 The META-Kinetics Master Practitioner course is taught by Robert Waghmare, Tremayne Reiss and Joanne Ross, co-creators and developers of META-Kinetics. Booking: Advance booking is essential. Places are limited to due to space & couch restrictions. 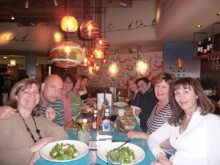 Book your place today and join the META-Health professional elite. You can book your place via PayPal below, or pay by credit direct transfer (please call for details). Bookings are not-refundable but maybe transferable to other dates and/or courses in exceptional circumstances.